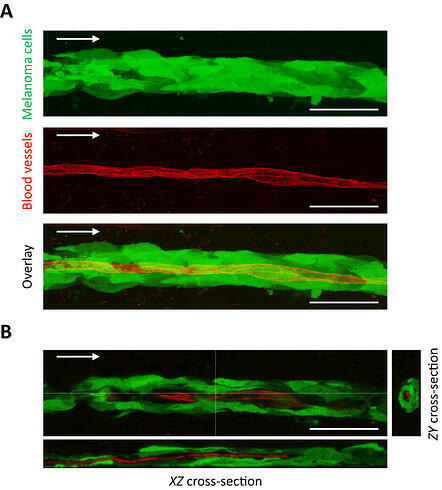 Researchers from UCLA and partnering schools guided by Laurent Bentolila found evidence supporting the spread of malignant cells through angiotropism with vascular co-option, and even suggested they may be related or identical processes. These findings were published in Nature Scientific Reports. With angiotropism being the ability for cells to travel along surface of blood vessels, but not be inside of them, also called extravascular migratory metastasis (EVMM) and vascular co-option being the ability for a tumor to use a blood supply and travel along it, this means cancer has an outlet to spread outside of the bloodstream. The spread outside of the bloodstream means some current methods of treating cancer would be ineffective. This research was conducted using 3-D imaging, and is the first instance in which these types of actions by cancerous cells have been captured in 3-D. The imaging was done with red dye added into the blood vessels and green dye injected into the cancerous cells. 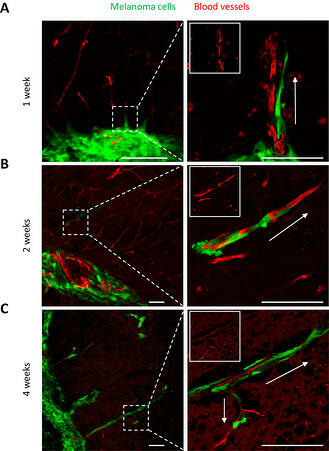 The research was carried out on the brains of mice with confocal fluorescence microscopy. This technique of examining the fluorescent dyes was used to analyze the growth and spread of the tumors for one, two, and four weeks in different groups. The images captured were examined to determine how the cancer was spread. The image above is a closeup of a blood vessel (red) with the cancerous cells (green). The image clearly shows the melanoma cells encompassing the blood vessel, and the cross-sectional photo shows that the two are separate and the bloodstream is not invaded by the cancer. It is this split that makes this find significant because the melanoma cells are not attacked by the immune system and some treatments. The picture below shows the spread of cells from the initial tumor. The green lines can be seen to follow the paths of the blood vessels in red. This alternative method of cancer spreading means that certain treatments involving chemotherapy would only work when the cancer is found to be entirely contained in the tumor and blood stream. The findings give an answer for why some patients do not respond to chemotherapy as a treatment, suggesting it is not preventing the spread of the cancer because it does not make contact with the cancerous cells traveling outside of the bloodstream. The study provides support for the use of multiple angles of attack to battle cancer that is found to spread through multiple means; more research is needed to determine new methods of treatment to slow and prohibit growth. This research was made possible by support from the NIH and the UCLA Clinical Translational Science Institute and is a testament to what has come from UCLA's approximately $1 Billion support of life science research and development in expenditures and grants. 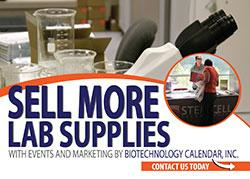 Biotechnology Calendar, Inc. offers two Biotechnology Vendor ShowcasesTM where exhibitors can access this market of researchers, one event each spring and one event each fall. The next event will be this fall on October 20, 2016. 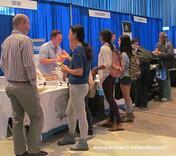 Researchers register and attend the event for free, and laboratory product suppliers can learn more about exhibiting at the show by calling 530-272-6675.